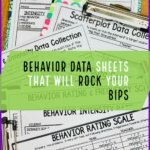 Finding materials for individuals in middle school with basic reading and vocabulary difficulties can be particularly challenging. While the students may continue to need basic practice in vocabulary, it is difficult to find materials they can read and comprehend that is not intended for younger audiences. To address this issue, teachers have several alternatives. Many teachers choose to use digital pictures to take pictures of common vocabulary and make books for their students that are individualized to their own lives. 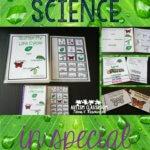 The books may include vocabulary from community-based outings, from activities of the classroom, or from their homes. 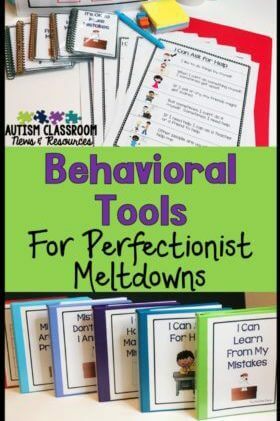 The books typically involve pictures of their family and classmates as well as the words targeted for instruction. Another option is to use a software like Mayer-Johnson’s Boardmaker software to make symbol books of common activities in middle school. While this type of software would use picture symbols instead of real pictures, it has the advantage of pairing symbols with each word to assist with reading. 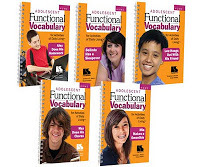 And another option is to purchase books like our Functional Vocabulary for Adolescents series from Linguisystems that are ready-made stories geared to both learning vocabulary of common adolescent activities and the use of speech-generating devices. Clearly there are many ways that you can use interactive books in the classroom to encourage vocabulary development, participation, literacy, interaction, and language use and they will be explored in a future post. The following are some general considerations for the books. Regardless of whether you make or buy the books, make sure that they depict students that are the same age range or older than the students you work with, so that they aren’t reading “kids” books. Make sure they focus on activities that are meaningful in their everyday life (i.e., going to the football game). 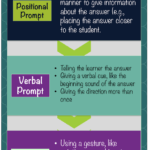 Also make sure that the targeted vocabulary focuses on words that are part of their everyday life (e.g., items they use to do their homework rather than zoo animals). However they are developed, literacy activities for students with severe disabilities in middle school remain as important as they are in earlier grades. Interactive projects that allow them to learn the vocabulary through explicit instruction followed by generalization activities make it more likely that the vocabulary will be meaningful.